Fall is, hands down, one of the best seasons there is. The suffocating heat finally starts to cool down, the leaves are changing into warm, comforting colors, and everything starts becoming cozy. It is also the time of the semester when assignments, tests, and papers start piling up and you view the changing of the seasons through the window of a library. 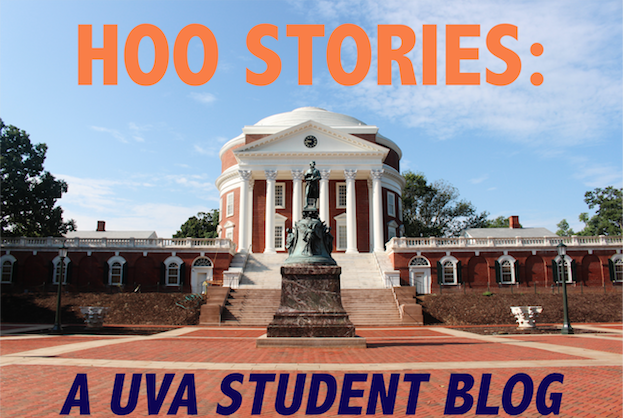 So, to honor the ~10 minutes that UVA students have to do fun, fall-themed things, here are some awesome things to do in Charlottesville throughout October. With the cooler weather, despite all the rain, being outdoors for more than two minutes is actually enjoyable and incredibly relaxing. Plus, chances are someone will be walking/playing with their dog and nothing besides free food gets a college kid more excited than seeing a dog. Nothing is more redolent of fall than apple picking but when pressed for time simply eating an apple cider doughnut from Carter's Mountain Orchard gives you all of the satisfaction of apple picking with the bonus of a sugar high. This does not have to be a pumpkin spiced latte from Starbucks, and honestly probably shouldn't since they are very much overrated. A butterbear latte from a recipe on Pinterest would do very nicely. Ones that smell like cinnamon and nutmeg or vanilla frosting are the best since they smell like you've baked some cookies or a cake, without actually having to bake something. Your apartment feels homey and relaxed and you can pretend the pack of Oreos are homemade. This is also known as the Harry Potter room so it's filled with leather chairs, beautiful books, and a cozy feel like it's been apparated straight from Hogwarts. It's also deathly silent and filled with stressed out students studying exams and will therefore give you a nice authentic fall in college feeling.